Tottenham Hotspur and South Korean footballer Son Heung-min has revealed his footballing idol. Tottenham Hotspur signed Son for £22 million, making him the most expensive Asian player in football history. The forward has been one of the best players for The Spurs since making his debut in 2015. Passing and scoring from long range are some of his key strengths. 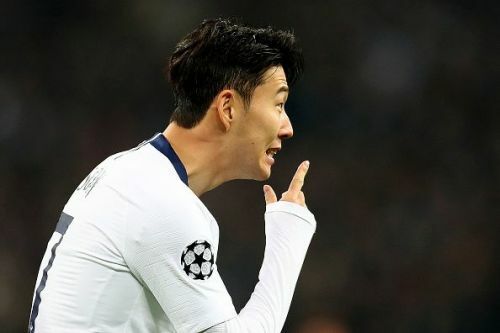 Son has scored 16 goals and has 9 assists to his name in 23 appearances for Tottenham this season. He also played an important role in the recent Asian Games, where he helped South Korea achieve the Gold Medal. I know being a professional is about more than talent. It’s like my idol, Cristiano Ronaldo, who actually works more than the talent he has. I see many players who don’t have the mentality, who think talent is enough. But it’s not. When you marry, the number one will be family, wife, and kids, and then football. I want to make sure that while I play at the top level, football can be number one. You don’t know how long you can play at the top level. When you retire, or when you are 33 or 34, you can still have a long life with your family. Following their recent 1-1 draw against Arsenal last weekend, Son and Tottenham will be looking forward to returning to winning ways in the Premier League when they travel to Southampton today.